Saudi Arabian Mining Co (Ma'aden) has began initial production of copper at its joint venture affiliate with Canada's Barrick Gold Corp, the Gulf's largest miner said in a bourse statement. Maaden Barrick Copper Co, owned equally by the pair, will have an estimated annual production capacity at the Jabal Sayid site of 45,000 to 60,000 tonnes of copper in concentrate, the statement said. Ma'aden will record the financial impact once commercial production begins, which is expected in the first quarter of 2016, the statement added. 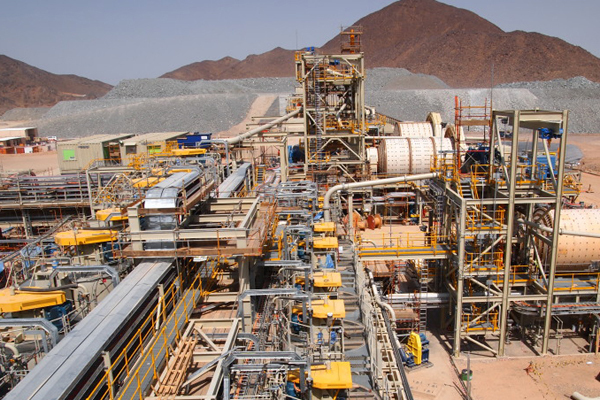 Barrick acquired the Jabal Sayid asset, located some 120 km (75 miles) southeast of Madinah, in the C$7.3 billion ($5.26 billion) purchase of copper miner Equinox in 2011. Ma'aden agreed in July 2014 to buy a 50 percent stake in the project for $210 million. When Barrick announced plans to form the JV in July 2014, it said the tie-up would get the mine into production in late 2015, but by the formal setting-up of the unit in December 2014, this date was pushed to early 2016.